Cupcakes, baby clothes, cherry blossoms in spring - I love pink and white. It's a beautiful combination, and there's no reason to ignore it just because its Christmas! Below, a montage of pastel ways to celebrate the season. 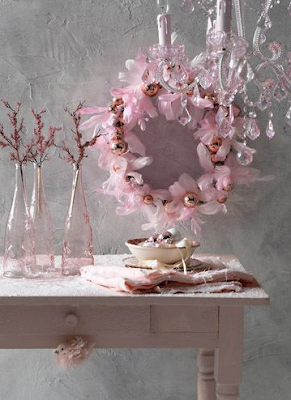 From pink trees to pink flowers, there's no shortage of lovely ways to have a girly Christmas. 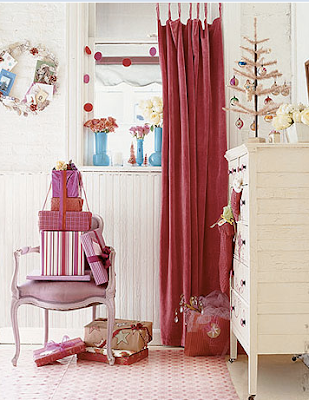 Credits: Room with pink chair, chandelier, table arrangement. 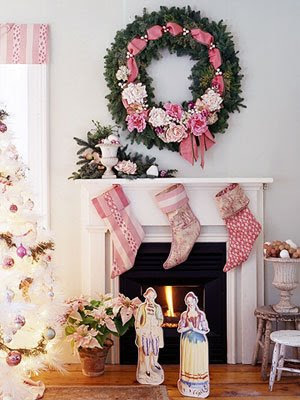 Pink stockings room. 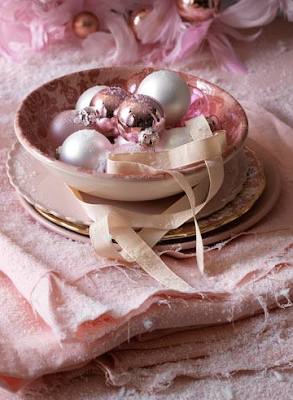 Pink ball decorations. Pink room, top of page. Pink decor tree in dining room. 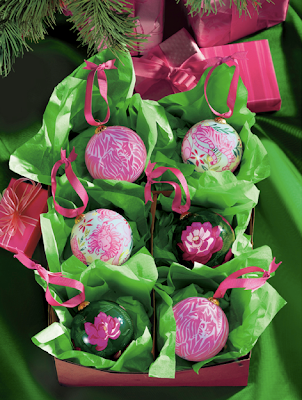 Lilly Pulitzer ornaments. 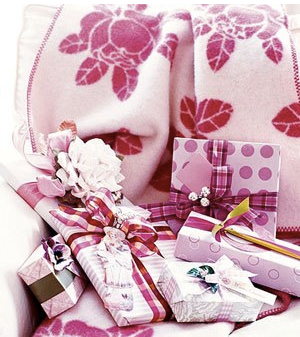 Pink presents. Beautiful!!!! I love the pink items here! I am in love with your blog! 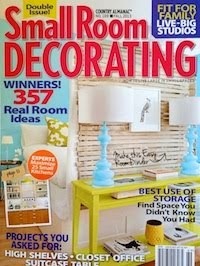 I read it every day :) I want to do all my Christmas decor in pink! Thanks Jenna! :) I normally am not one to use a lot of pink, but I LOVE the pink/white/silver look. It's surprisingly festive! oh fantastic finds! 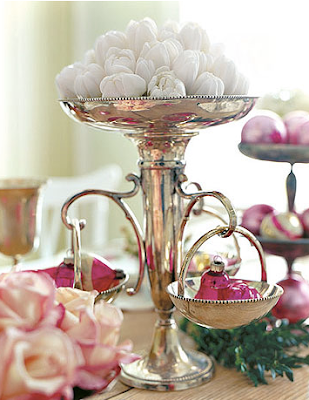 This pink is surprisingly festive- and what a way to bring in some preppy pink and green (LOVED the LIlly ornaments). 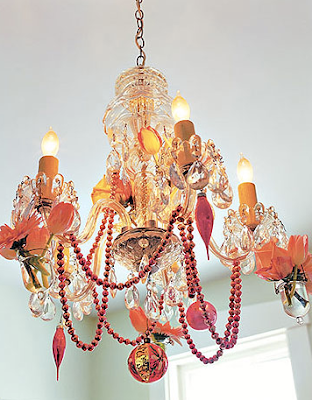 Great examples- makes me want to start my holiday gear from scratch! if b wouldn't roll his eyes everytime i suggested something pink, i'd be more apt to decorate with it! it think it's lovely.